To make this race more realistic, lets give our turtle a countdown timer so he knows when to start! Find the following lines in the bumpy top example. And replace them with these lines so that the turtle knows when to start. The “for” command creates a loop in the code which can save a lot of time. All the indented lines after the “for” command are run for each different value of “countdown”. The list [“5″,”4″,”3″,”2″,”1”] is all the different values of countdown. Once you have that working, you can try replacing [“5″,”4″,”3″,”2″,”1”] with [“ready”,”set”,”go”]. NEXT: Try creating your own track! Here is a more difficult track. See if you can navigate your turtle all the way around the track without touching the sides of the track. 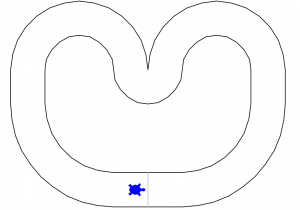 # Don't edit the lines for turtles "track" or "scorer"
# Edit the lines for turtle "racer"
# between "# ninja start" and "# ninja end"
This follows on from CoderDojo turtle racing – 1 – oval track. Copy your Python code from the first post and run it in this one. This time you will get a score showing how long it took your turtle to get around the track. 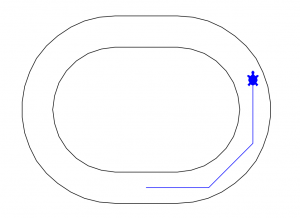 # Don't edit the lines for turtle "track"
This is a fun task to play with Python’s turtle graphics. 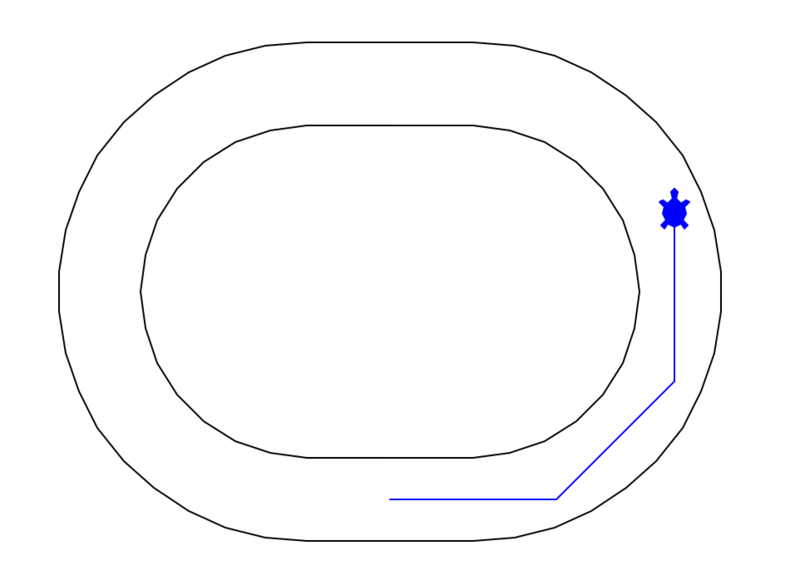 Below is Python code to draw a race track. 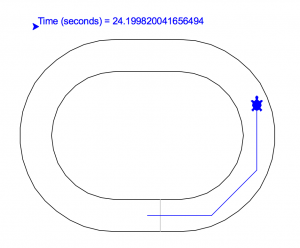 See if you can write some Python code between “# ninja start” and “# ninja end” which will make the turtle race all the way around the track without bumping into the side of the track. 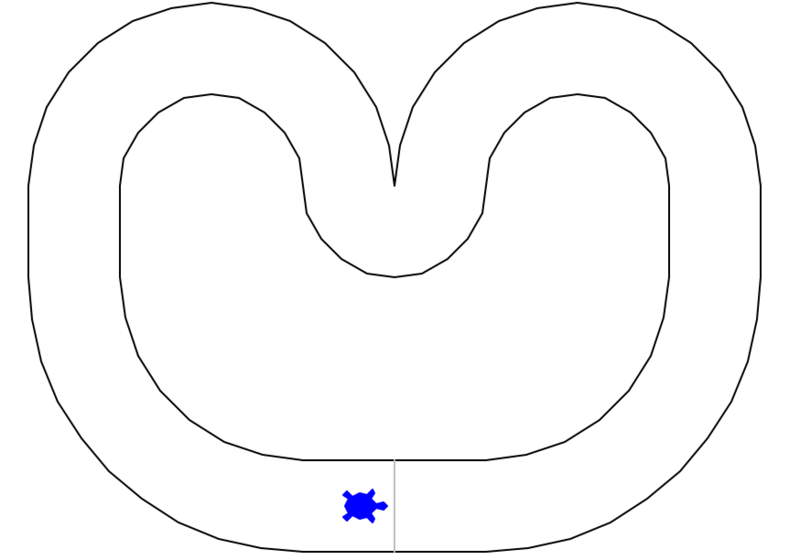 I have provided the first three lines which gets the turtle half way around the first turn. 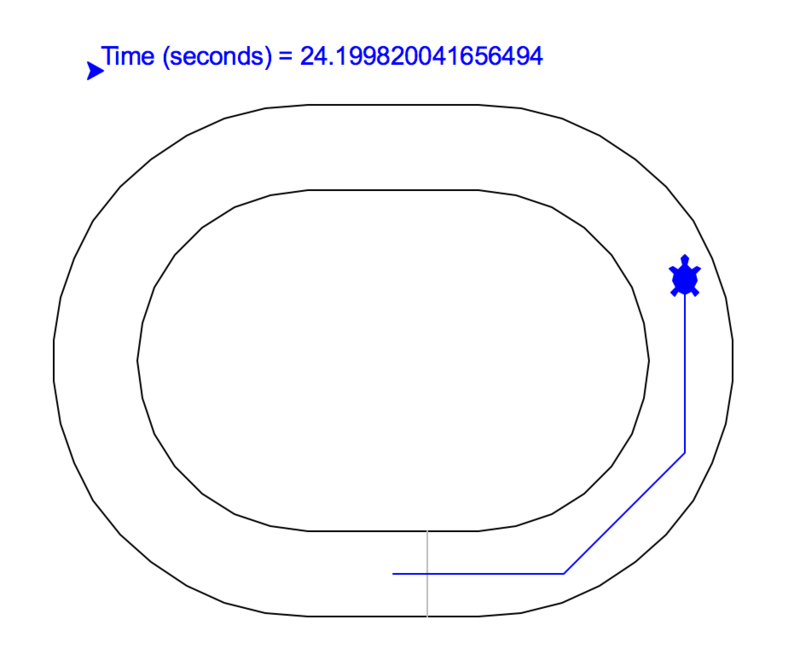 You can change the numbers to whatever values you need to get the turtle all the way around the track. You can run this python code on your computer or on website such as https://hourofpython.trinket.io .